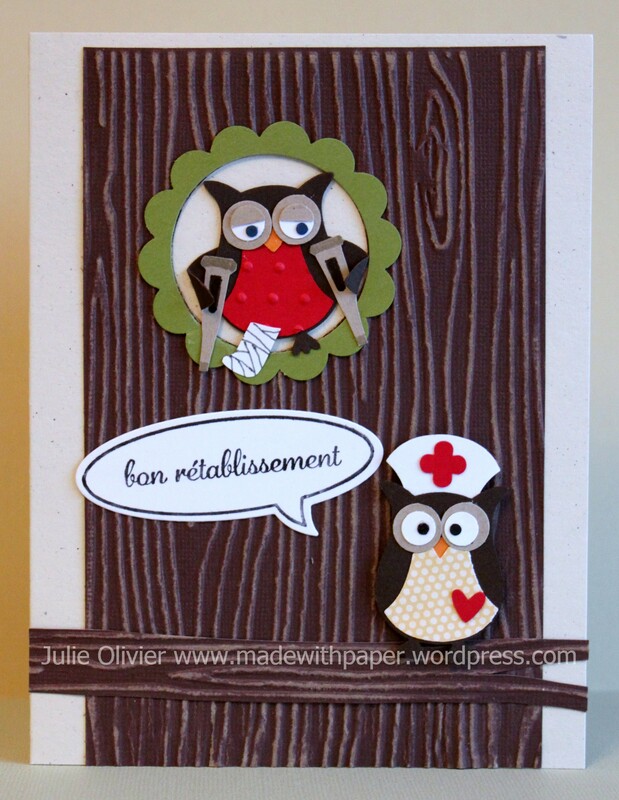 My daughter’s ski coach had a ski accident and broke his leg… I made this card for him… The owls are always cute and make great cards, so I knew it was a good one to go with!!! I used the new Word Bubble framelits dies with the coordinated stamp set called “Just Sayin'”, but I changed the words inside to a “get well wishes”. I had fun making the cast and crutches! (I simply drew them by hand in case you are wondering…) For the tree, I used the Early Espresso Core’dinations card stock embossed with the Woodgrain folder. I sanded the paper to make the lines really stand out. I really like this paper to make “faux-wood”! If you don’t have the Owl punch yet, I think it’s a must!!! 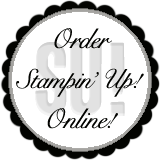 You can order it right here! Tools: Owl Builder punch, 1-3/4″ Circle punch, 2-3/8″ Scallop Circle punch, Itty Bitty Punch pack, Big Shot, Perfect Polka Dots and Woodgrain embossing folders, Word Bubble framelits dies.